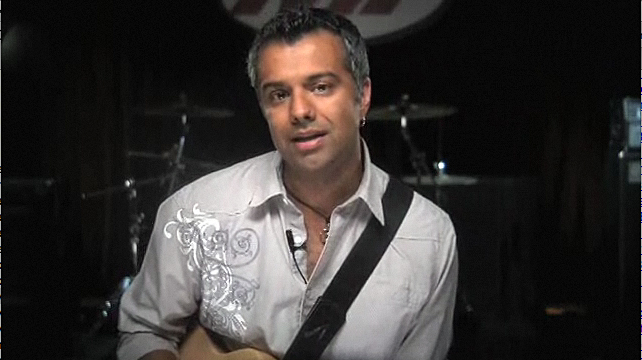 Funk/pop/R&B guitarist Pathik Desai completed his undergraduate studies at University of Texas at Arlington before receiving a scholarship to attend the Berklee College of Music in Boston. Since moving to Los Angeles and joining the GIT staff at Musicians Institute in 1996, he has been busy with recording sessions, touring and teaching, including writing for Guitar Player magazine. Pathik's recording experience includes major motion pictures (such as the 2000 hit Finding Forrester), television shows ("Cedric the Entertainer," "American Idol") and countless jingles (Doritios, Mercedes Benz, Dirt Devil, Yamaha Motorcycles). In 2003, he played on Kelly Clarkson's first single "A Moment Like This," which went to #1 on the Billboard charts and was the best-selling single of the year. Pathik has toured with a wide range of artists including Kelly Clarkson, Westlife, Anastacia, Nick Lachey, Aaron Carter, Deborah Cox, Patti Austin, Kelly Price, Javier, Taylor Dayne and A.J. McLean (Backstreet Boys) just to name a few. He has also appeared on the "Tonight Show with Jay Leno," "The Late Show With David Letterman," "Today," "Good Morning America," the "CBS Early Show," and "Ellen," among several others.